It’s that time of the year to start planting! We went to Lowe’s and got more topsoil and peat moss and add to that a healthy dose of composted horse manure (I wonder where that came from) and got to working the soil. With daytime temps in the 80’s, I’m sure there is no danger of frost. 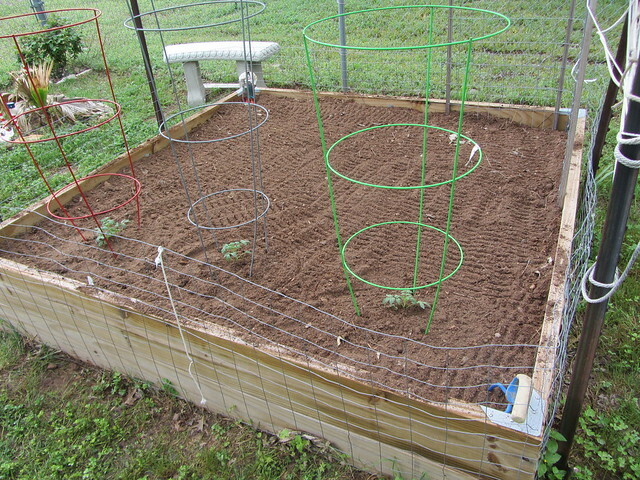 We’ll be planting the seeds this weekend: peas, beans, cucumbers, radishes, and we planted some tomato plants we got earlier.